The IVM (Innoson Vehicle Manufacturing) Company of Nigeria is the first made in Africa automobile brand which was made to abolish used foreign vehicles (Tokunbo) from Africa. Nigeria itself ranking among the worlds biggest consumers of without being able to manufacture theirs. 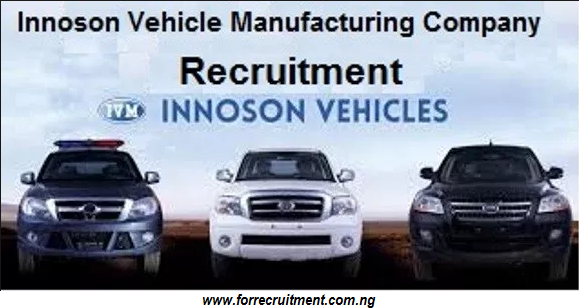 However, this Publication is here to let you know that the Board of Directors of the Innoson Manufacturing Company Ltd is now welcoming applications for the employment of about 3000 personnel for its new extension in Nnewi, Anambra State. The first set of new intake will see the hiring of 1007 workers as of April 2019. Applications are now invited from suitably qualified and interested candidates to fill the below vacant positions. All applications must be submitted on or before 6th April 2019. To continue getting updates from us, kindly register your email below and also share this with others.